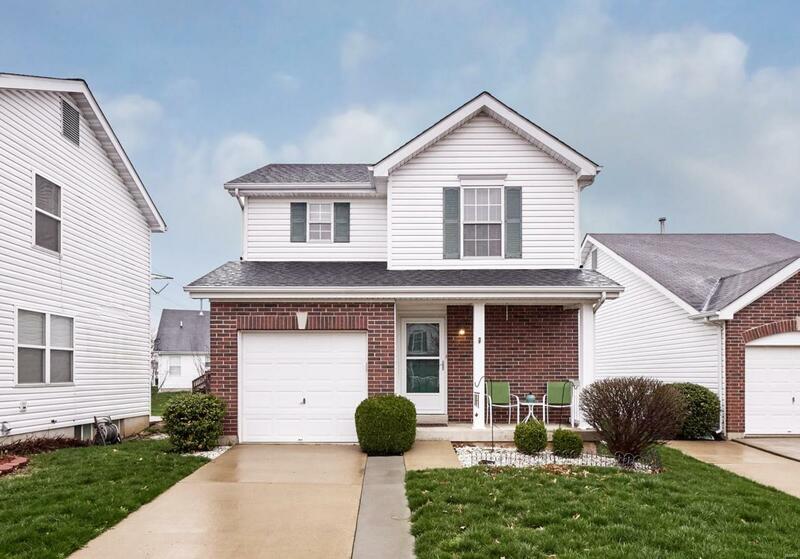 Beautiful Villa in the Carefree living Homefield Subdivision in O'Fallon, with endless amminities. 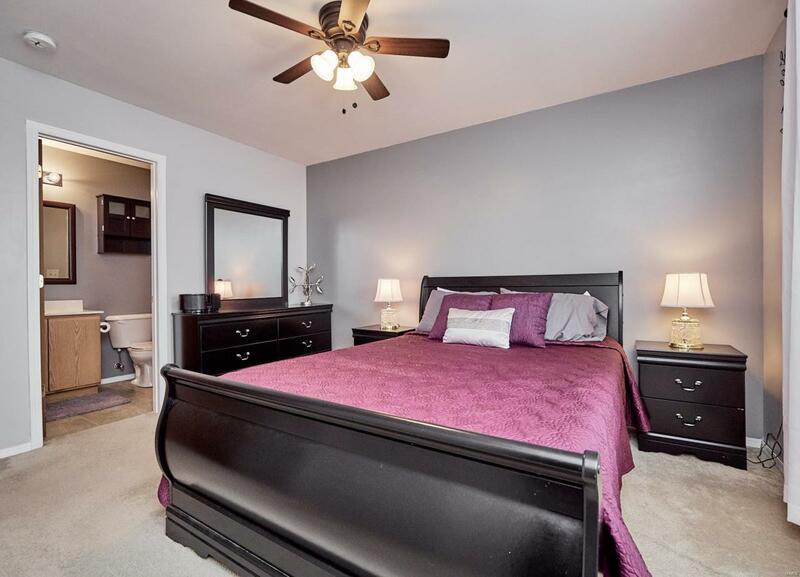 The home has a open floor plan with 2 bedrooms, 2 full bathrooms, laundry room & loft all located on the 2nd floor. The main floor has newer hardwood floors in the living room & dining room, back yard access is through the set of sliding glass doors in the dining area on to a newer patio w/gardening area. 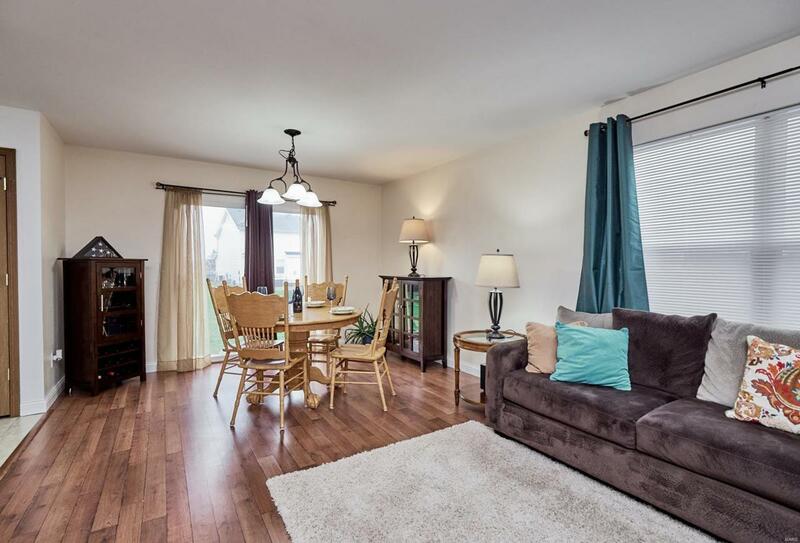 The living room, dining room & kitchen are set up for entertaining w/open concept. 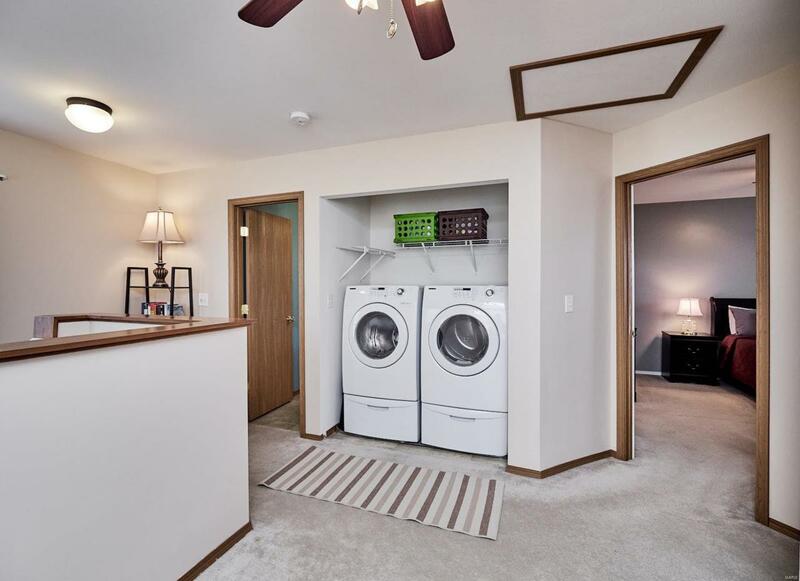 Several items which has been recently updated are sump pump, roof in 2015, driveway widened, newer ceiling fans in loft & mbed, prof carpet & vents clean, some freshly painted walls & doors. Garage access is through the service door located in the kitchen, the garage is approximately 231sqft. With this stand alone villa you have use of subdivision pool, clubhouse, playground, walking trails and easy access to I-70. Yearly fee of $250.00 for pool and $60.00 monthly fee for lawn care & snow removal. Cross Street Address Batters Box Dr. Listing provided courtesy of Berkshire Hathaway Select. Listing information © 2019 Mid America Regional Information Systems, Inc. Listing information © 2019 Mid America Regional Information Systems, Inc. Information from third parties deemed reliable but not verified. Data last update 2019-04-20T15:49:02.69.